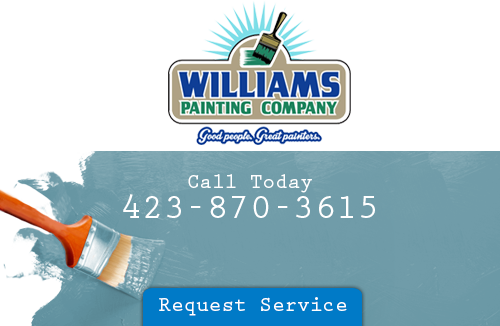 Williams Painting Company started back in 1989. Since then we have been growing in size as more and more home owners come to us each year for a reliable Chattanooga painting company. Our guys are always up for a challenge. It doesn’t matter if you’re in need of an interior or an exterior painting service, we can provide you with that and a whole lot more. All of your needs indoor/outdoor will be met when you hire Williams Painting Company. We understand how much your home means to you and want you to have a home that you can appreciate in every way. Our interior painting service is outstanding as we can turn an ordinary room into an extraordinary one. Just let us know what color scheme you’re going for and we’ll take care of the rest. Your walls deserve a lot better than they have right now. Once your interior is taken care of, then we move to the outdoors. Prepping your home for the summer requires lots of maintenance. You’ll need preventative maintenance such as pressure washing. Pressure washing your home brings the value of it up while keeping the curb appeal. After you’ve gotten your home washed and prepped, the next step is to have the outdoors remodeled with an exterior painting. Exterior painting is the most inexpensive form of remodeling. We can make your home the focus of your block. We’re the Chattanooga painting company that does a lot more than just painting. We have a staining service for those looking to clean up their decks and patios. Staining your deck means that you’re preventing it from becoming weathered. A stained deck is a clean one. If you want yours stained, then make the call. Williams Painting Company also has a wallpaper removal service. Your walls should look just the way that you want them to be. This means that any wallpaper that was left behind from 20-30 years ago needs to be removed. Using a simple and yet safe solutions means that there will be no damage left behind to your walls. You’ll be left with a smooth finish that can be painted or textured. We provide you with lots of options when it comes to our services. 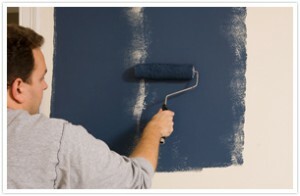 Call us today to take full advantage of our painting services. You’ll learn that we are the number one choice for so many indoor and outdoor service within the Chattanooga area. Soon you’ll have the home that you’ve always wanted. We’re the Chattanooga painting company that you can depend on. if you’re looking for a professional chattanooga painting company, please call 423-870-3615, or complete our online request form.